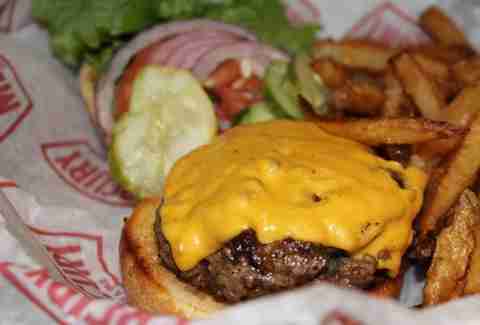 For a city that made the Coney Dog famous, Detroit still brings some serious skill to the burger game. From classic creations that've been fattening our citizenry for years to newer kids on the block that are... also fattening our citizenry, these are the essential bastions of between-bun tastiness that Detroit can't do without. As if narrowing them down to seven wasn't tough enough, we went to the trouble of ranking them also. Unassuming dive from the outside, tasty burger haven on the inside. 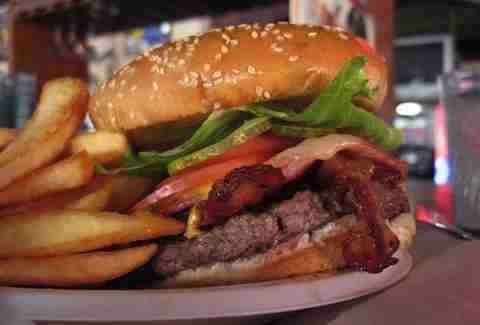 Get yourself a Detroiter Special -- a loaded burger (ham AND bacon!) so juicy that you'd gladly pay 10 bucks for it. Then you'll find out that 10 spot also nets you a mountain of fries and a cold beer. Life is good. The downside of sliders: they're tiny. The upside: it's easy to eat more of them. 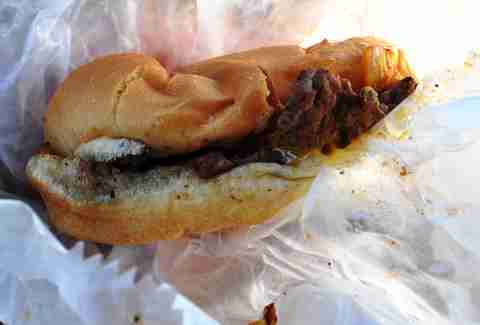 We’d argue that Sonny's represent Detroit's best. They're greasy in the best possible way. They're covered in onions. They're $1.70. How economically responsible of you... until you polish off a dozen of them. The diner's tiny interior is unremarkable. The staff's been there for years. And the special Smashburger is so cool that it doesn't even care that some upstart chain stole its style. The formula's nothing revolutionary: smashed, griddled patties, oozy cheese & onions. But it has that unmistakable flavor that only a well-seasoned griddle that's been turning out burgers for years can replicate. The staff would add that it's made with love, and it's hard to argue with them. We're generally reluctant to credit the state of Minnesota with good ideas, but Mercury follows in the footsteps of its illustrious Juicy Lucy with The Juicy (sorry, Lucy), creating what looks at first glance to be a typically appointed (and delcious-looking) burger until you realize that the center of the patty is filled with molten American cheese, a mouthwatering indulgence that lets it stand out among Mercury's already amazing burger lineup. This battle-tested burger is chock full of Michigan-made goodness, from Reny Picot's Manchego cheese to Greenbush Brewing Co. Closure IPA-braised onions. 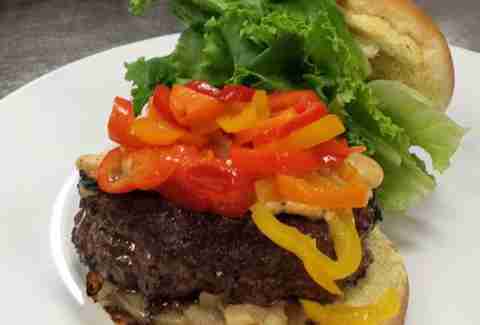 It also has house-pickled sweet peppers and a spicy black pepper aioli. That's all surrounding a patty made from a mighty trio of chuck, short rib, and brisket that's resting on a brioche bun. It all works together beautifully. 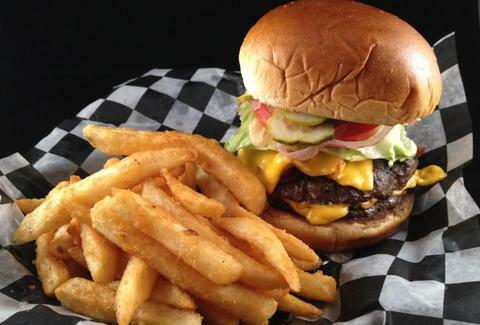 When you need to lay a base before you head to a Tiger's game (or when you just need a fantastic burger), Nemo's is always there awaiting you with their classic, juicy, grilled-to-order, sesame bun-equipped burgers. Your cheese preference is up to you, but don't skip their special mustard sauce, whose tangy savoriness gives the whole operation the perfect kick. Located on the edge of historic Eastern Market and named after the four meat cutters who originally opened the joint, Cutter’s is all about the meat. 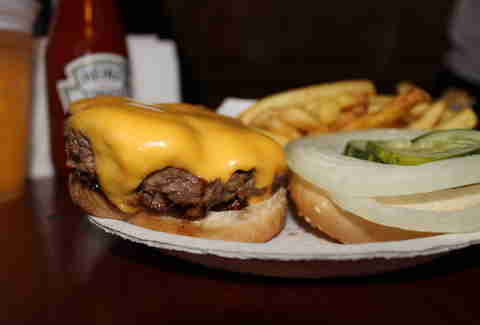 Firm believers in not being able to have too much of a good thing, their 1lb, freshly ground, hand-pounded patties are the standard to which other Detroit burgers must aspire. It can be a little difficult to get your mouth around, but it's worth the trouble. If you really want to explore your eating abilities, there's a 2lb version. 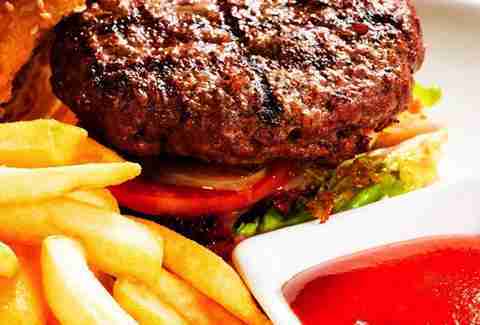 Vegetarians are people too (sort of) and they deserve to have their burger-loving needs met. Lucky for them this black bean creation at Woodbridge is mouth watering enough that it even made a run at making the above list. 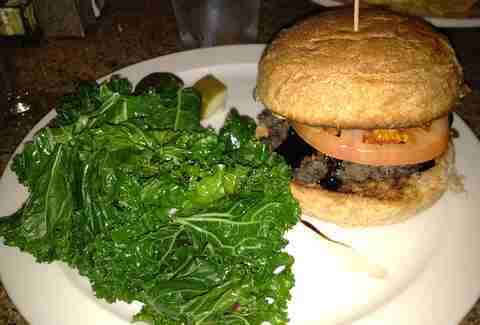 Grilled onion, tomato, avocado creme, and balsamic glaze bring plenty of flavor between the Avalon vegan bun. Yes vegans, even you deserve burger bliss. Detroit welcomes all.